A brand new Pokemon application for mobile devices has been announced for Japan. The new app is called the Pokemon Music Pokedex which allows you to purchase a variety of Pokemon music from Pokemon Red & Green onwards. You initially get three free tracks and the rest you need to fork out for. These will cost 120¥ a piece. What’s interesting is the design of the application which looks like a classic Pokedex. 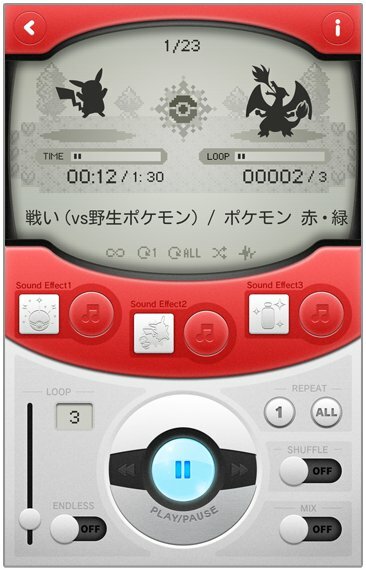 It also allows you to add in the sound effects of PokeBalls, Pokemon cries or item use during the play of music. Suicide-inducing original Lavender Town music or no deal. I don’t need this. I already have every single song from the Pokémon franchise.